With the launch of Vango's brand-new awnings for 2018, why not treat yourself to a brand new air awning for your vehicle or caravan! We know finding the right size of awning for your caravan, motorhome or campervan can seem daunting, especially if you have never bought an awning before. 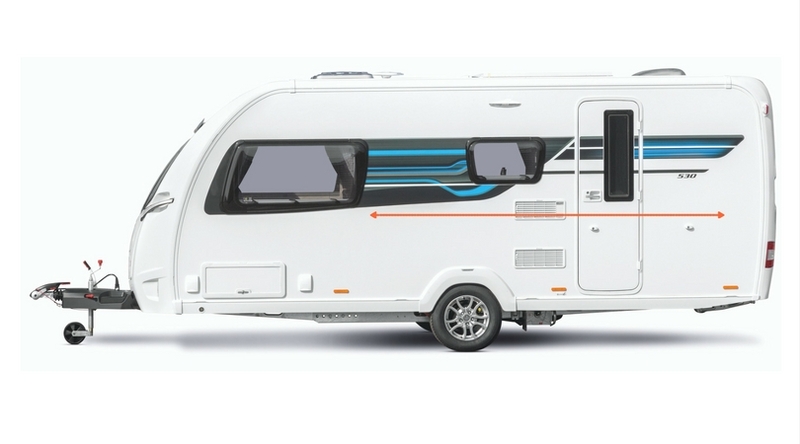 We have outlined the best ways to measure your vehicle or van, so you can find out how to measure your vehicle before the Motorhome and Caravan Show to see what Vango inflatable awning suits best. If you own a caravan and would like some extra living space to relax in, you need a Vango awning in your life! But first, it is important to get the measurements just right, to make sure you buy the correct size of awning for your caravan. The measurement of the rail should be included in the caravans manual, however if you have misplaced this over the years, don’t worry, we have you covered! All Vango AirAwnings are known as touring porch awnings, which means the first thing that you will need to know is the height of your awning to the ground, to do this you measure from the top of the awning rail to the ground. all Vango Caravan awnings have an adjustable 236-250cm height, therefore are suitable for any caravan with a height within this range! Then, measure the length of the straight section of your awning rail, to see what the maximum length of the awning for your caravan, then you will need to consider where your door and windows are. Make sure when measuring for your caravan awning you have allowed enough room for the door to open. Your second consideration should be if your awning will cover the window. Only you can decide if this is a serious problem. Would it be awkward to have that window closed at all times? For example, is it above the hob? If so, you may need to open it for safe ventilation when cooking. We have a range of different lengths of awnings so are sure that you will find one to fit your caravan and allow you to make more of your caravan. 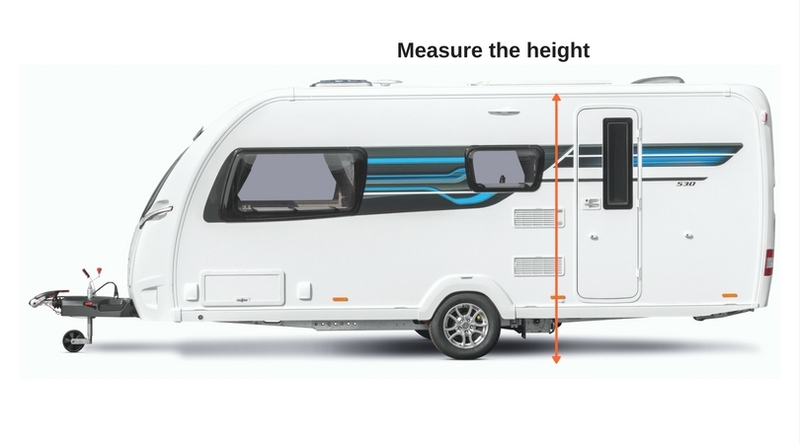 To find the perfect size of awning for your motorhome or campervan, we would firstly recommend that you measure the attachment height of your van. All you need to do is measure from the ground to the rail, pole gutter or roof bars (depending on how you attach your awning), it is really that simple! When carrying this out, we would also recommend that you are on flat ground to enable your measurement is the most accurate. The key factor to consider when finding the ideal awning for your campervan is the attachment you are going to use, which you can read up on in our blog mentioned below! Our drive away awnings are available in adjustable 180 ≈ 210cm, 205≈ 245cm and 245≈ 295cm heights in a variety of sizes to suit any occasion! The most common connection for drive away awnings is through the rail or awning channel on the side of your van, which is usually the most secure option when attaching the awning to your van. However, if you do not have an awning rail on your van there are plenty more ways to attach your awning! Check out our other blog post to find out the most suitable attachment method for your vehicle. For more information on the Caravan and Motorhome Show 2017 check out our latest blog HERE!